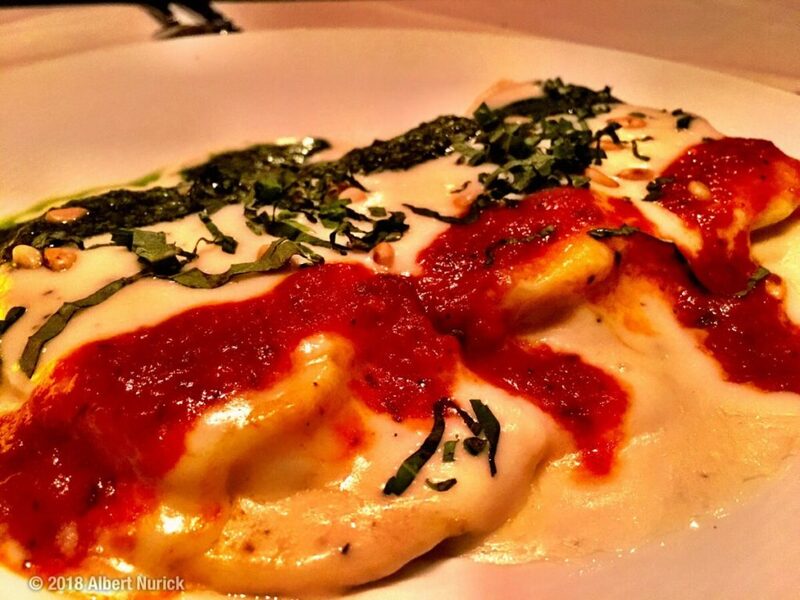 We frequently bemoan the lack of great Italian food in the Woodlands. While we do have some solid family-style choices, we’ve not had a great place to recommend for a memorable, upscale Italian dinner. We were delighted to receive an invitation from Via Emilia owner Enrique Orioli to sample their new menu. 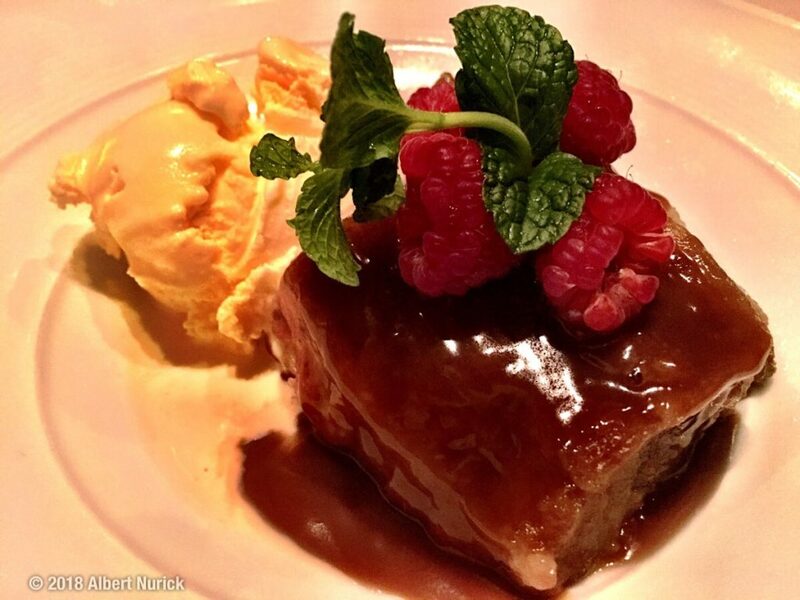 Along with a small cadre of knowledgable foodies, we sampled a selection of appetizers, entrees and desserts that Enrique feels best represents his restaurant. Our first impression of the space was very positive. Via Emilia has expanded since our last visit. The formerly pedestrian dining room had been refurbished with a large bar and several distinct dining areas, but the expanded space to the east impressed us most, with soaring ceilings, lovely architectural details, and several private areas for a more intimate meal. Upon touring the facility, we noted the lovely wine cellar, holding red wines at proper cellar temperature, instead of the often-too-warm room temperature that is so common in Texas. We were off to a great start. So how about the food? We started with two light, refreshing appetizers, and one that was more substantial. 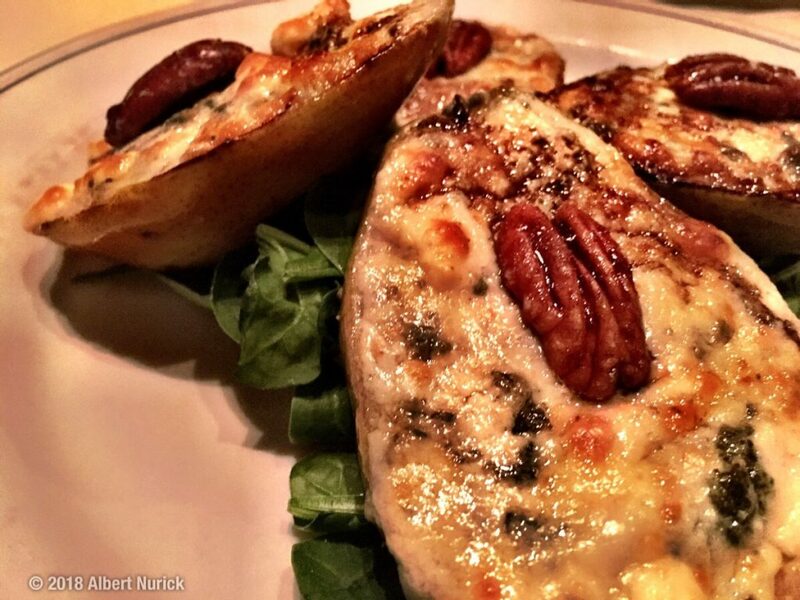 Pere e Gorgonzola (Grilled pears, gorgonzola, and candied pecans over spinach with a balsamic vinaigrette) captured our attention with the first bite. The beautifully balanced contrast between the sweet grilled pears and the tangy gorgonzola awakened our palate and set the stage for the upcoming delights. 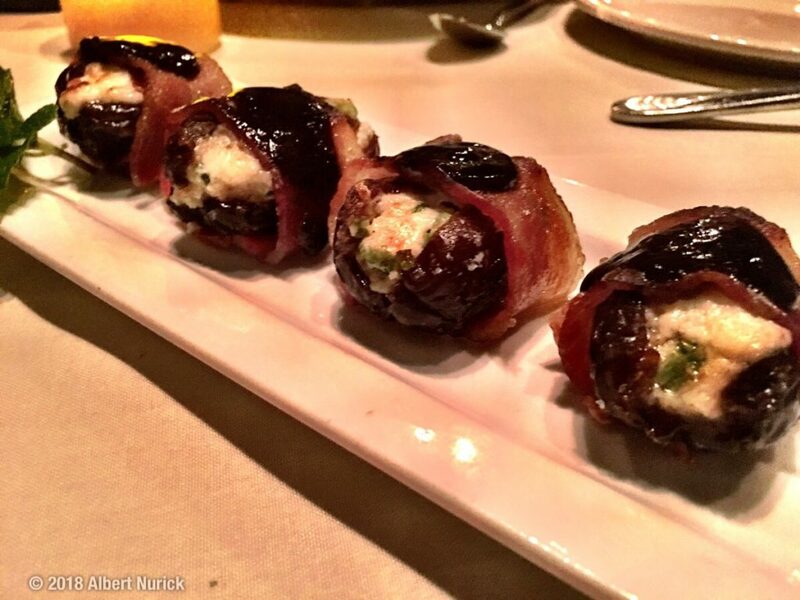 Datteri Ripieni (Dates wrapped in bacon, stuffed with marscapone, goat cheese, and chives) was another delightful bite. Gently sweet but never overpowering. 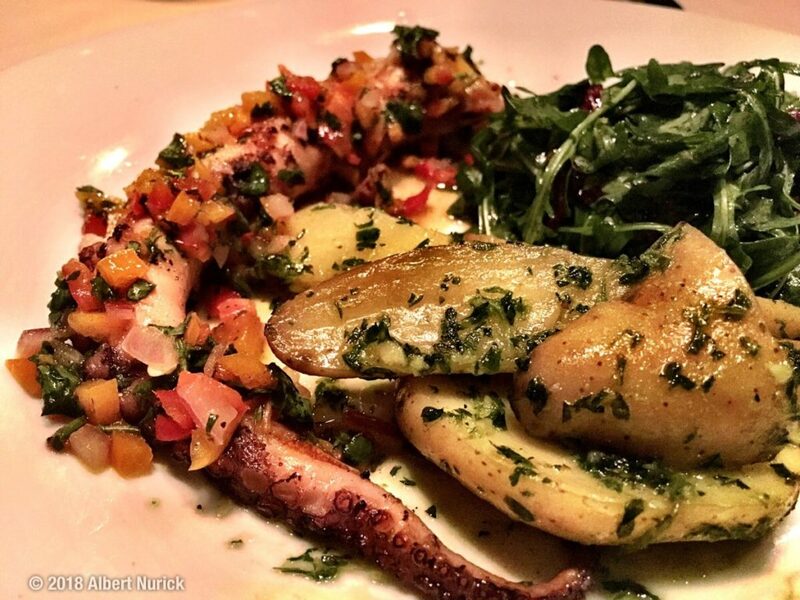 Polpo (Grilled octopus with fingerling potatoes and arugula) showed us the deftness of the kitchen. Octopus is notoriously difficult to handle; here it was perfectly grilled, slightly smoky and tender. 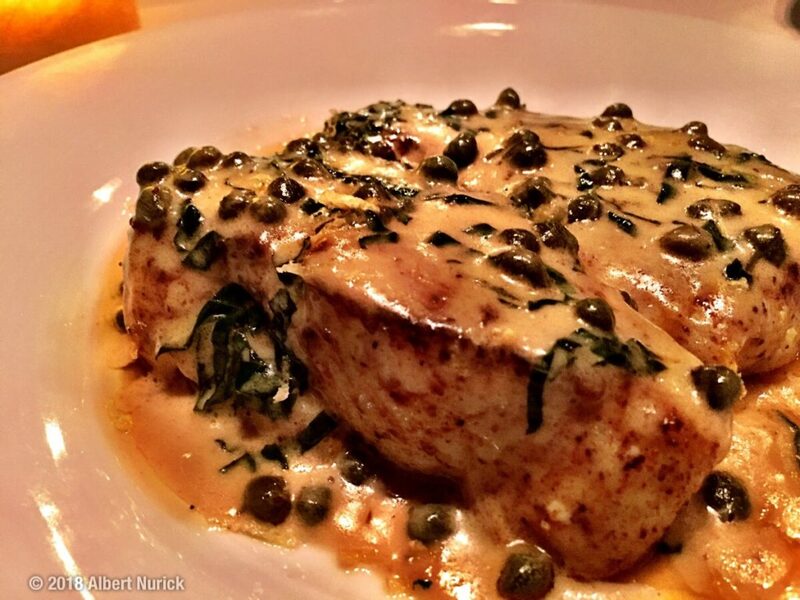 Sea Bass alla Griglia (Grilled sea bass with beurre blanc) was expertly prepared. The beurre blanc complimented the sea bass, creating an indulgent dish that wasn’t overly heavy, but which had very fully developed flavors. 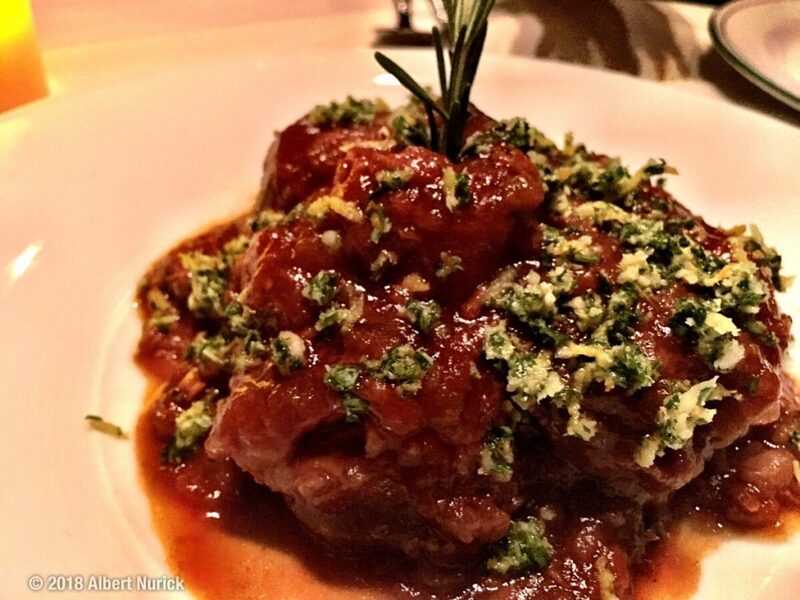 Vitello Osso Buco (wine-braised veal shank) was delightful. Incredibly tender, smoothly flavorful, incredibly hearty. 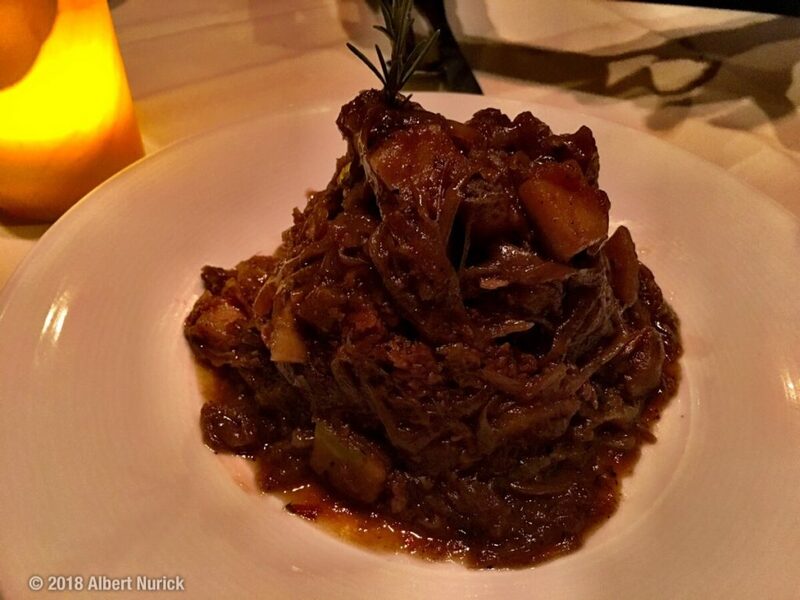 Pork Shank (Slow-braised pork shank with caramelized apples and onions). Sweet, tangy, rich, robust. Ravioli di Formaggio (Handmade ravioli filled with ricotta and spinach, topped with a tricolor of tomato sauce, alfredo, and pesto) displayed the kitchen’s adept handling of sauces. The pesto stood out amongst the other very good sauces. 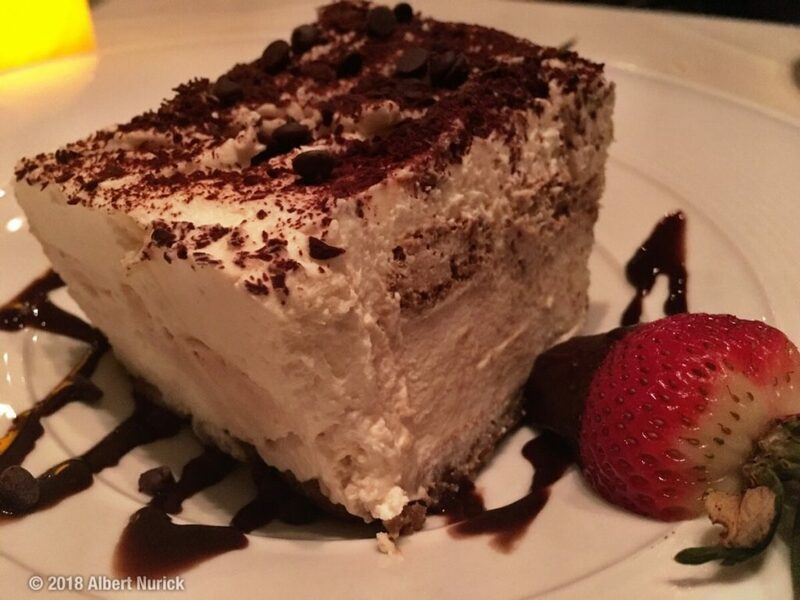 No Italian meal is complete without dessert, and Via Emilia did not disappoint. 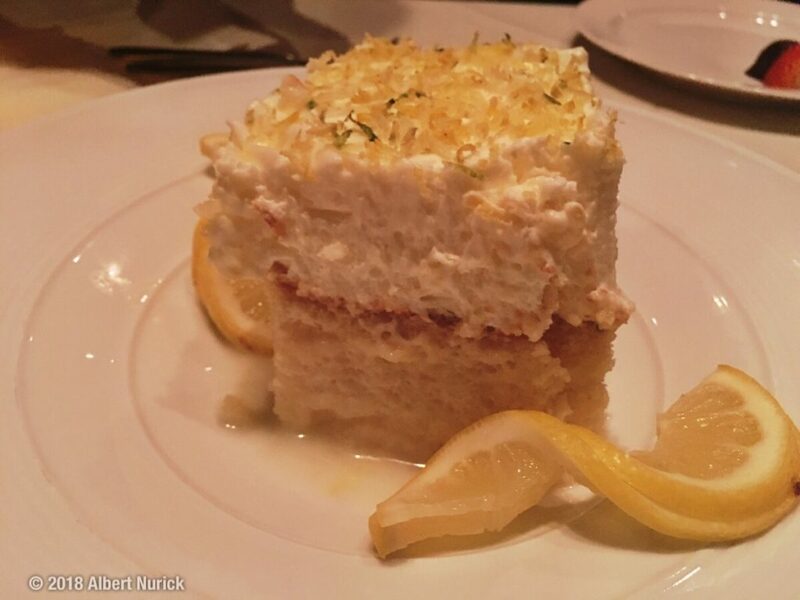 A classic tiramisu, an Italian spin on bread pudding, and a superlative limoncello cake were all quickly devoured. We’re happy to admit that our first impression of Via Emilia was decidedly out of date. From the beautiful space, to the adept service, to the impressive selection of dishes, Via Emilia provided an outstanding upscale Italian dining experience. We were greatly impressed by our visit to Via Emilia, and would like to thank Enrique Orioli and his staff for their generous hospitality. We look forward to returning soon.